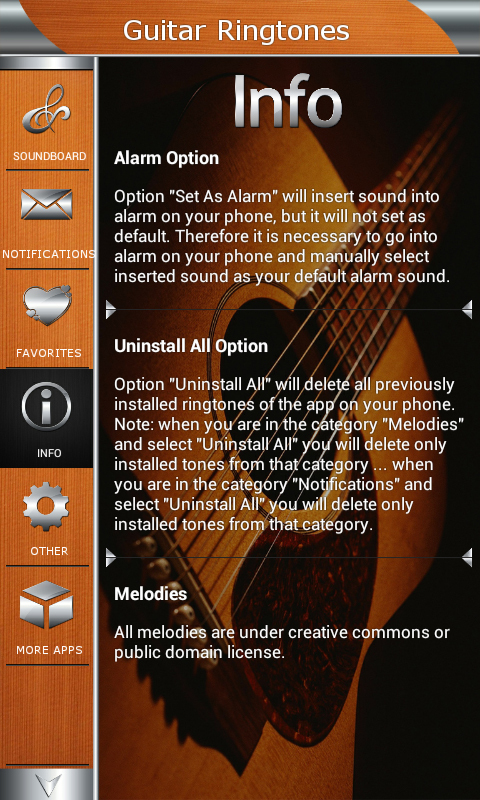 Guitar ringtones is a free application for Android™, which contains the best guitar tones, most downloaded guitar sounds, as well as many popular guitar effects. 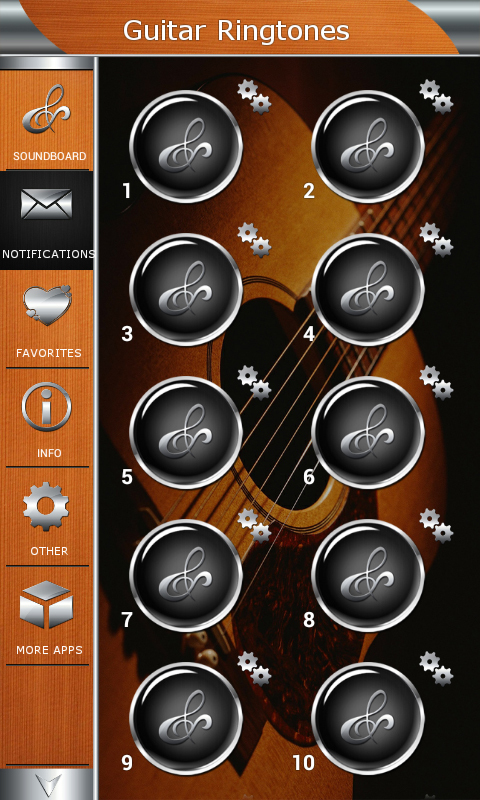 All guitar ringtones in this Guitar Soundboard are completely free to download and use. 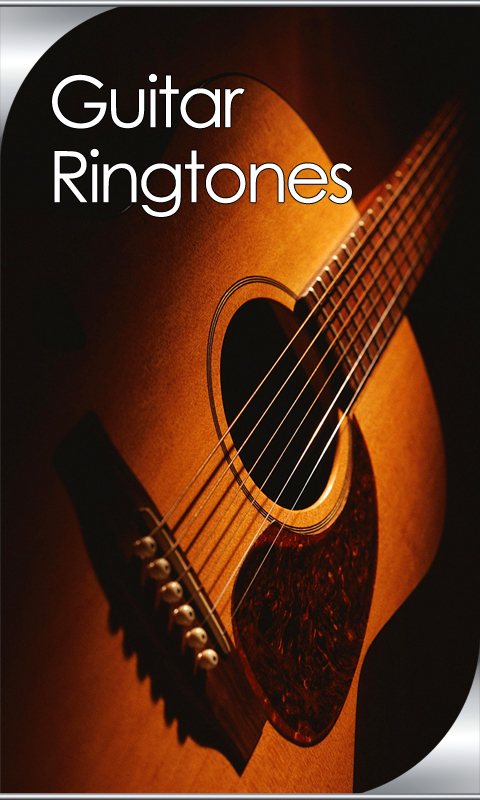 Application offer you a wide selection of guitar music ringtones, played on acoustic guitar and electric guitar, both chord and solo guitar. 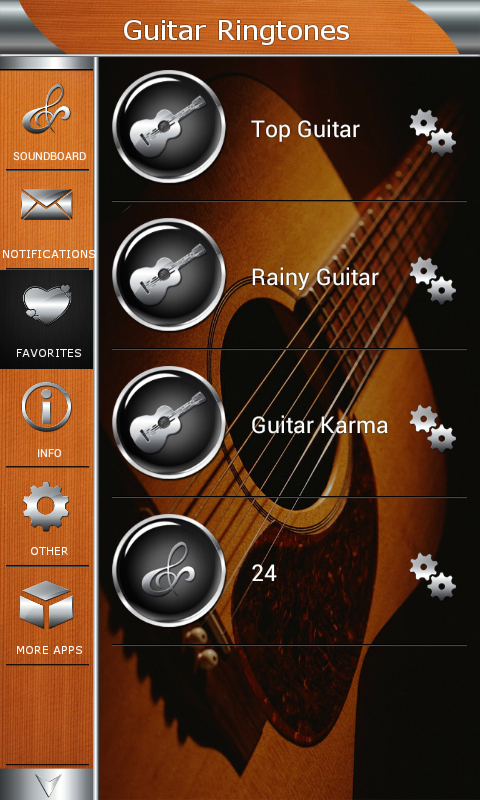 Popular music genres such as: jazz guitar, hard rock guitar and metal guitar make this app perfect choice for you. Each of us knows how nice it is to sit by the fire and listen the songs of romantic guitar while beloved person sitting next to you. 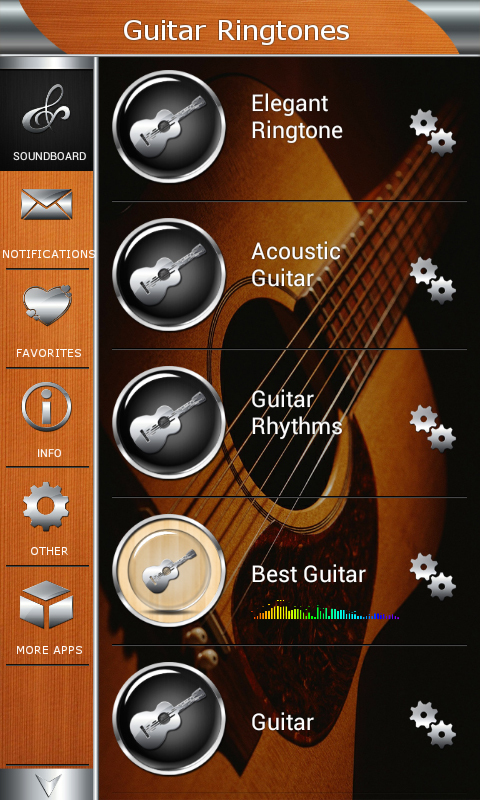 If you want to surprise your kids that have just started guitar lessons on classic guitar, this guitar app can be perfect gift for them. Or even, If you want to laugh with your friends, funny guitar included into a guitar collection can help you. 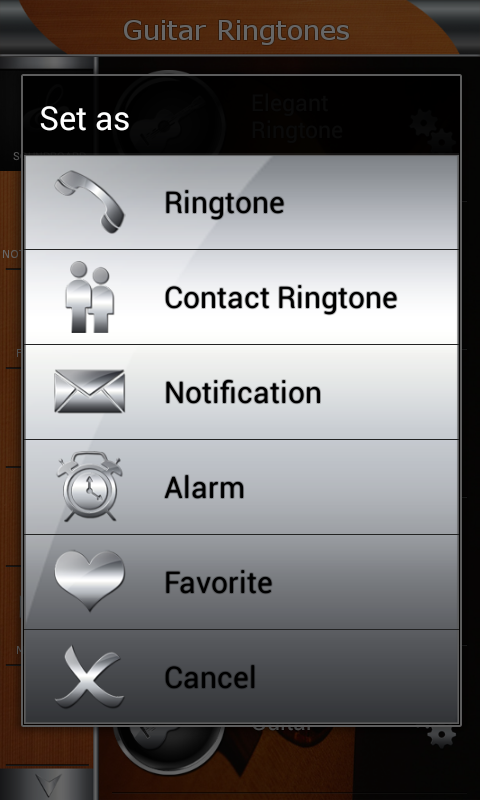 In addition to guitar ringtones, app contains notifications where some are played on instrumental guitar.